LATEST: Daily Active Bonus with a twist, Football Stars winners and new DRD incentives! Thanks for watching this space where we bring you the upcoming happenings in our Hitch Community! 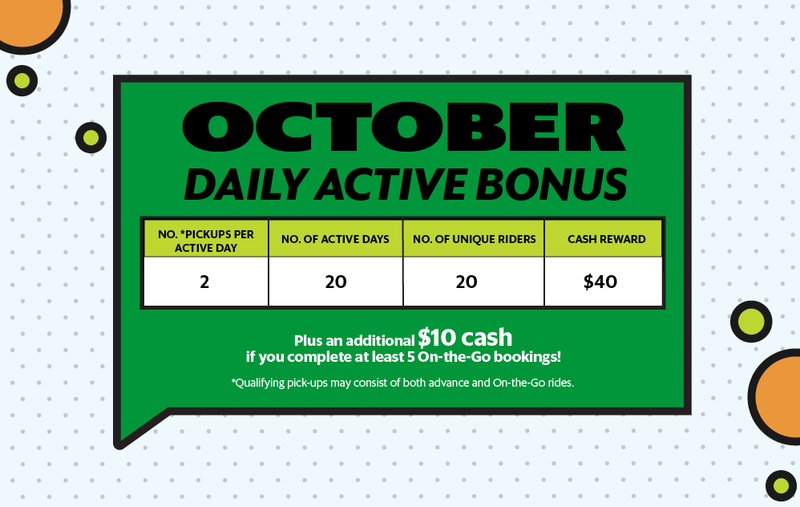 Enjoy a sweet treat with your favourite Daily Active Bonus and an extra reward for trying out our new On-the-Go feature this October. Qualifying pick-ups may consist of both advance and On-the-Go GrabHitch bookings. This October, we are extending our new feature GrabHitch On-the-Go to ALL Hitch Drivers! Hurray! You can now get to have more options when you can’t find suitable matches in advance and maximise your empty seats to help reduce traffic congestion! Remember to toggle on the feature when you’re ready to hitch someone on-the-go and leave it on while you’re on the road until we notify you of a match! If you are new to our community or have missed our tutorial, here is your chance to catch up! 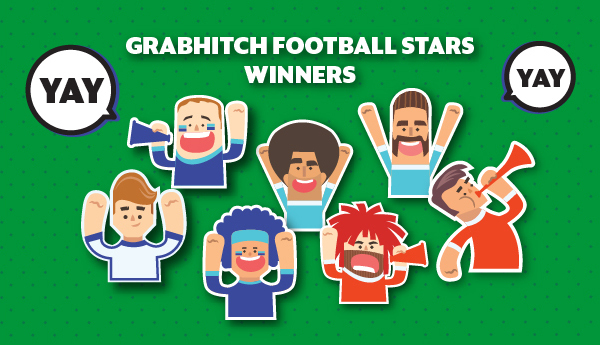 GrabHitch Football Stars – and the Winners are..
Last month, we launched GrabHitch Football Stars where you stood a chance to win a pair of air tickets to UK and football jerseys! We have chosen our 3 lucky winners and spoke to them to find out why they Hitch, and what they planned to do with the prizes! Get up to $50 for referring 1 friend to GrabHitch! Hurray! We’re extending our referral hunt for extra bonuses.. for October only! Have a friend who is born in October, drives a car with “1” and “0” in his / her car plate and able to complete 10 pick-ups in a month? Get up to $50 for each friend referred, depending on which October bonus criteria your friend qualifies for! *T&Cs Apply. More info at our DRD page.